Andrew = 10 / 10. A group of girls prepares themselves to spend Christmas at their college house when strange calls and a mysterious disappearance comes to spoil the fun. 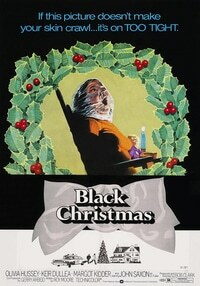 Black Christmas is a masterpiece of horror and my favourite slasher horror movie of all time! I hope that’s enough said to make you watch it if you haven’t already. Like in so many 70’s classic such as Halloween, the film starts on a pretty slow tone, but carefully builds a super-tense atmosphere. The best feature of that film is the killer itself, we barely get to see him during the film, but that makes it even better for we then keep imagining the worst. This early ancestor of Scream also has an incessant and stressful music, great actors and above all, great characters. Until the end it will keep you on edge and gets truly scary toward the end. 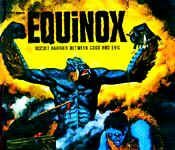 Since it doesn’t rely on special effect to scare its viewer, this movie hasn’t, and probably never will, grow old. It really stands the comparison with modern film in terms of scare. As the movie finishes, it leaves you with that uneasy feelings that someone is behind the door waiting to slaughter you. Terrifying!